If you’re Buying A House and Planning a Wedding Planning at the same time, Here's What You Need to Know. 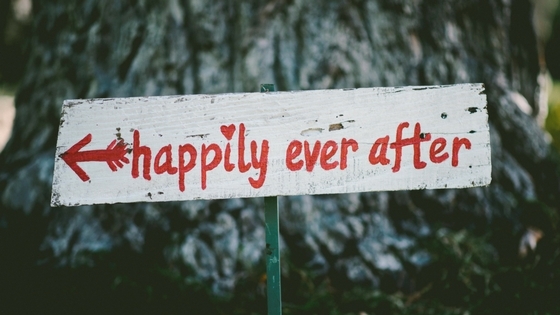 Are You Buying a Home and Planning a Wedding at the Same Time? Now the fun begins! Planning a wedding is both exciting and stressful. However, our Exclusive Buyer’s Agents like to think that with careful wedding planning and a generous lead-time, these few months will be filled with excitement, anticipation, joy, and love. During this whirlwind engagement period, many couples choose to buy a home or condo together. Obviously, buying a home at the same time as planning a wedding can add another layer of pressure. Buyer’s Edge has worked with many newly engaged couples over the years so we understand the information overload and the time constraints of planning for and orchestrating both a wedding and buying a home during a short window of time. At Buyer’s Edge, we know that homebuyers are tech savvy and can do a lot of the initial legwork on their own. We welcome you to do that. The more educated you are in the home buying process the better it is for everybody. However, somewhere along the line most buyers do reach out to a professional Realtor to help them through the complicated process. Today most consumers understand that they need to hire a Buyer’s Agent so they have representation throughout the entire home buying process. But did you know that not all Buyer’s Agents are created equally? There is a difference between an Exclusive Buyer’s Agent (EBA) who works for an Exclusive Buyer’s Brokerage Real Estate Company and a Buyer’s Agent who works for a Traditional Real Estate Company. At Buyer’s Edge, our Buyer Brokerage model offers a better way to buy a home or condo. We represent homebuyers 100% of the time – never sellers. As your fiduciary, we offer you complete transparency and loyalty with no conflicts or competing interests. At the Buyer’s Edge, our buyer clients will never be asked to consent to dual agency representation. Never! Since 1992, our non-traditional real estate company has been successfully serving home and condo buyers exclusively in Virginia, Maryland and Washington, DC. We never represent sellers, so we are never in the shady position of “representing” both the seller and the buyer in the same real estate transaction. We believe that transparency and loyalty with no conflicts or competing interests is the true value of our service. This is what makes us unique. It's a better way to buy a home or condo. Some fortunate homebuyers have a "Great Aunt Mildred" to be their Buyer's Agent who they trust with their life and lifesavings. Unfortunately, most people don't. Just remember, even "Great Aunt Mildred the trusted Realtor" has to abide by the laws of the land and real estate agency. If she works for a large, traditional real estate company, and you want to buy her listing or one of her company's MLS listings, she must either represent you as a Dual Agent or a Designated Buyer's Agent. She must ask you to change your agency relationship in writing in the MIDDLE of the home buying process. In both these cases, "Great Aunt Mildred" can no longer represent your best interests over the sellers. It's against the law. She could loose her real estate license. Many Homebuyers just don't see how this is such a big deal. Remember, you wanted to hire a buyer's agent in the first place to represent your best interests, to negotiate hard on your behalf and secure the best possible terms and conditions for you, not the seller. Please imagine for a minute that you are the gorgeous Bride dressed in a expensive, ivory gown walking down the aisle to the Groom of your dreams. This moment has been years in the making. Let's be honest, you dated many, many frogs. Then you finally meet this amazing person. There is trust, love and commitment that has been built over a long period of time. Secret hopes and dreams have been shared. Family and friends also are heavily involved and committed to this union. Finances have been discussed and disclosed. The day is finally here! You nervously walk down the aisle, but feel secure in the knowledge that you are on the right path for a happy, successful and prosperous future. WAIT! OOPS! STOP! STOP! STOP! There's a little problem here that the Groom failed to mention. (Wink. Wink.) How would you feel if your Groom had to back out at the last minute for some crazy reason-like this wonderful Partner is already married to someone else? Oh, no, how sad! How did this happen? The wedding is off! NO WAIT! LET'S GIVE YOU A "DESIGNATED GROOM"
The Groom has a brilliant idea so you don't have to loose everything in this sad turn of events. After all, your Groom really, really likes you. This Charmer grabs one their good looking attendants up at the altar and offers them up as a "Designated Groom." "What do you think? I'm truly, honestly sorry that I wasn't completely transparent with you from the start but, trust me, this unknown "Designated Groom" is totally experienced! I know it won't really be the same. No one will actually love you or be loyal to you, but at least you still will be married to someone at the end of the day." NO, NO WAIT! IF YOU DON"T LIKE THIS FANTASTIC IDEA! HERE'S ANOTHER OPTION FOR the BRIDE!! Sensing some resistance to this ridiculous idea, the Groom tries to explain an alternative plan, "If you don't like that idea, then maybe, you'll be fine if we have a "Dual Marriage." I promise to love you both "kind of" the same. However, in a "Dual Marriage" you must sign here at the end of the aisle that my first Bride will be in the #1 position. That means I can never do anything that will benefit you over my #1 Bride. Will you be ok with a "Dual Marriage, honeybun?" Will you be ok with a Dual Marriage, lovebug?" Being married to two people at the same time may not be legal in the the USA yet, but in the crazy world of Real Estate Land - it is!! However, you can avoid this kind of wedding altar fiasco, if you choose to represented by an Exclusive Buyer's Agent (EBA) who works for an Exclusive Buyer Brokerage Real Estate Company when buying a home or condo. At the Buyer's Edge, we love challenging the status quo every day. Complete transparency and loyalty. No listings, no sellers, no conflicts or competing interests - just Homebuyers.